Even with their fur coats, dogs feel the cold and this is especially true for those with short hair. 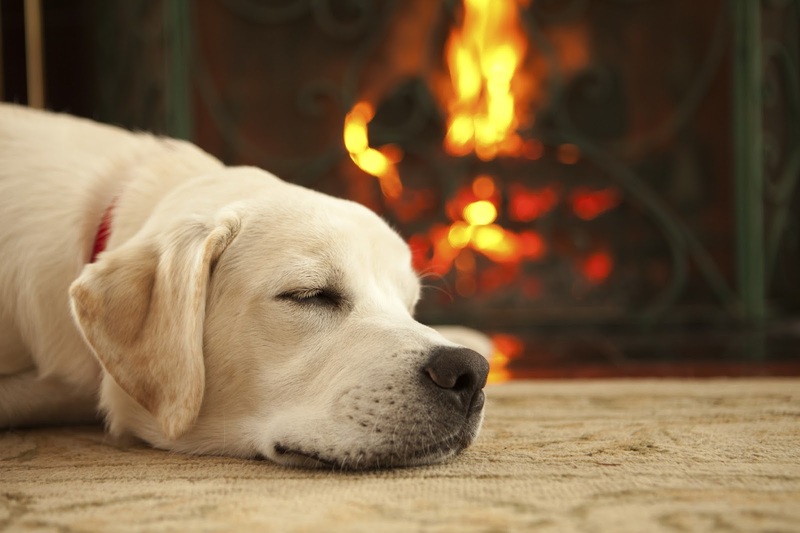 At every age, cold weather and dampness can make a dog more prone to illness, more easily affected by joint pain and unsettled from not being able to relax into a cosy corner. We noticed our dogs were starting to feel the cold in the last week so we've rounded up some great pet products catering for all styles and budgets. We hope these will help keep your dogs cosy and warm during the winter months. 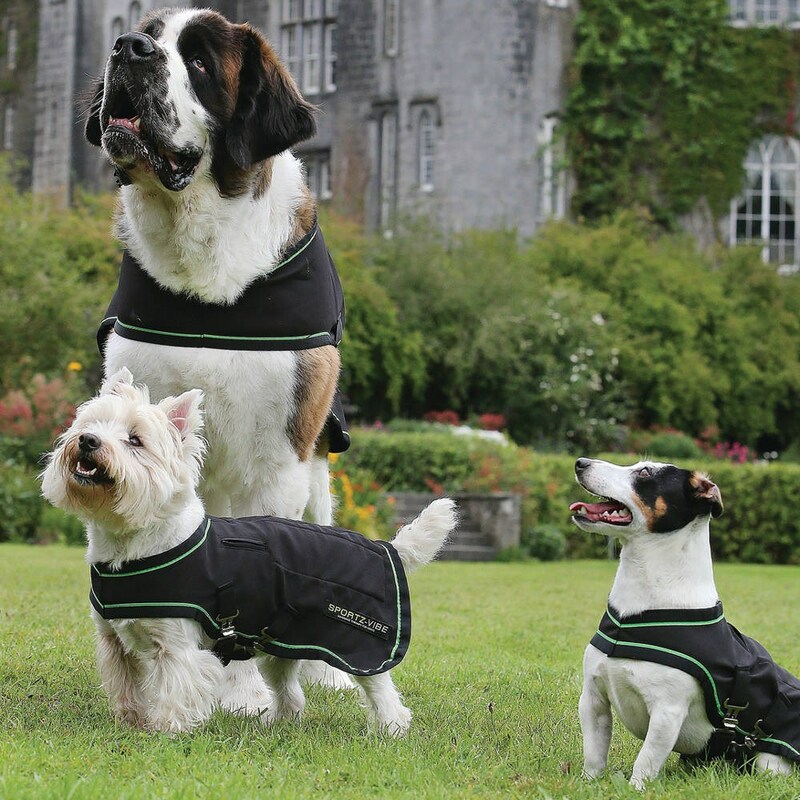 Perfect for those cold and wet winter walks, the very stylish and practical Huskimo Sherpa dog coat is waterproof, lined and reflective. 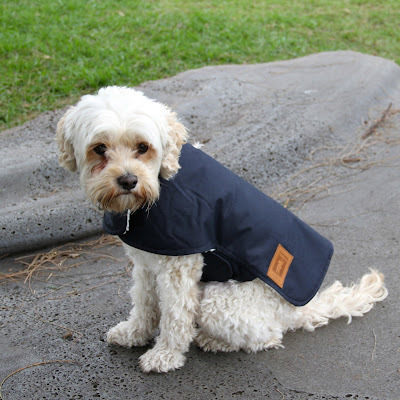 The waterproof outer shell keeps your dog dry in all conditions whilst the fleece lining adds extra warmth and comfort. The gusseted chest hugs your dog's chest for a perfect fit but allows total freedom of movement. There's a reinforced leash hole allowing you to clip your lead to a harness worn underneath. Made with SilverClear Odour Protection fabric, this coat comes in 3 bright colours: Birch Green, Mulberry and Ocean Blue. Available in 6 sizes: from 33cm (back length) up to 67cm. The Australian Fortress waterproof dog coat is designed by Dog Bless You to appeal to the rugged city dog as well as the rural country dog! The waterproof Fortress fabric is made here in Australia with the manufacturing taking place in Fiji. This coat features a warm sherpa lining with velcro adjustments around the chest and neck for precise fitting. It also comes with studs for better fitting around the neck. This coat comes in Navy (featured) and Red. Available in 12 sizes (fitting back lengths from 25cm - 80cm). 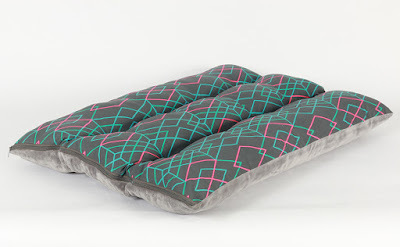 Sportz-Vibe is a lightweight portable massage blanket to help boost circulation. It is ideal for dogs suffering from back or hip condition, arthritis and also for high performance dogs as a warm-up or recovery blanket that helps ease soreness and stiffness after long workouts. With two removable massage panels that work alternately on either side to stimulate circulation, Sportz-Vibe automatically switches off after 10 mns and can be used up to four times a day. Available in 7 sizes from XS-XXXL. 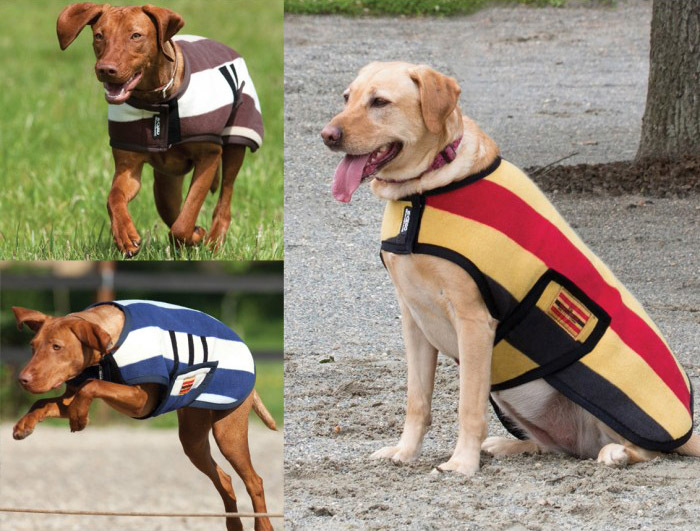 The Weather Master Classic Coat is uniquely designed to keep your Dachshund warm and dry. This coat features full chest protection and adjustable velcro tabs. Made with a layer of sealed polyester between a polar fleece inner liner and a breathable outer shell, the showerproof nylon provides warmth and comfort. The reflective binding and tape add visibility when walking your dog in the dark. 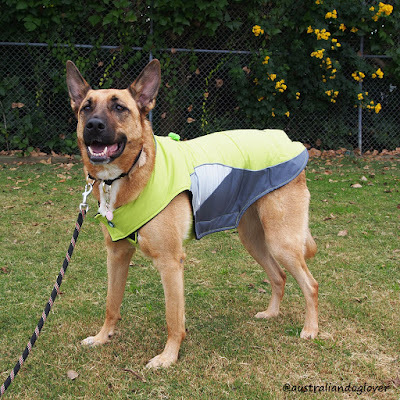 A waterproof zipper allows for easy lead attachment to a collar or harness without the need to take the coat off. Available in Red/Black and Blue/Black. This luxury cable knit dog sweater by upcoming Australian designer brand Sebastian Says uses the finest premium merino wool blend. It features a high turtle neck roll for extra warmth, leg sleeves and rounded hem. Be sure to have people stop and comment how cute your four-legged friend looks! This knit comes in trendy Blush and Charcoal and two sizes (Small, Medium). 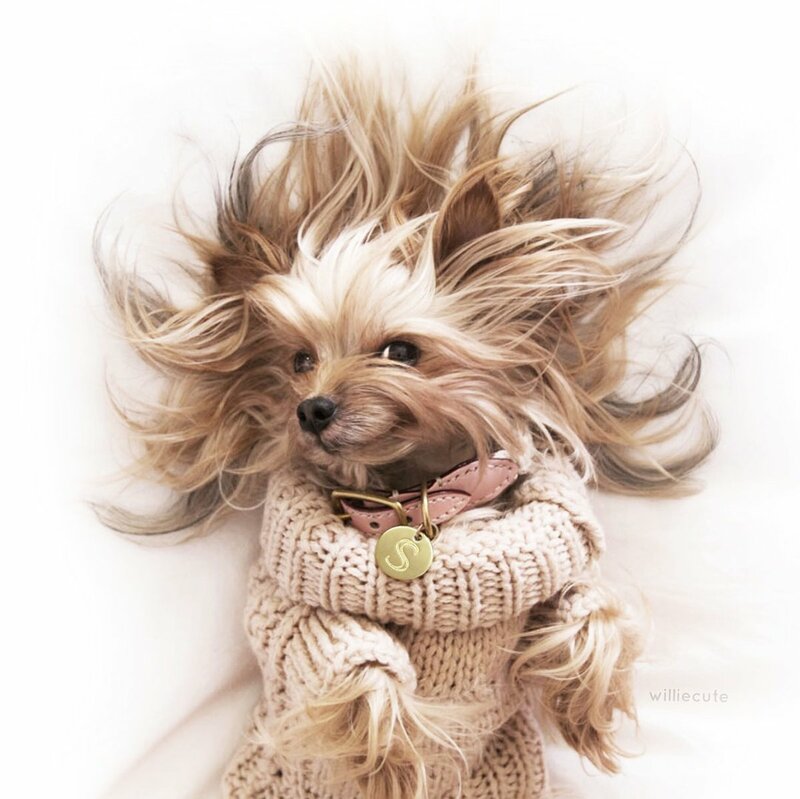 The Rambo Deluxe Newmarket Fleece Dog Rug is super soft yet durable. Its double-bonded anti-pilling fleece boasts thermal and wicking properties. It features a contoured fit with a belly band and velcro fastenings for easy adjustment. It comes in Gold Stripe, Navy Stripe and a limited Charcoal Stripe. Available in 7 sizes from XXS to XXL. Kmart has gone all out this year, clearly targeting dog owners with a comprehensive range of pet apparel and dog accessories at unbeatable prices! 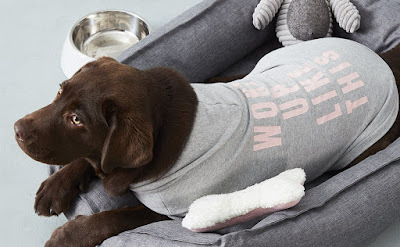 Just for fun, you could dress up your furry friend in this cute "Woke Up Like This" pet hoodie for a walk in the park without breaking the budget. 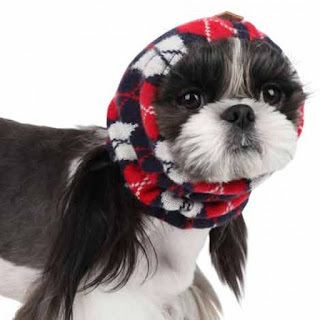 A snood is a combination between a hat and a scarf and it covers your dog’s ears, neck and head! It is very easy to put on and off with elastics around both ends which help secure the snood in place. This Navy Lineage Snood by Puppia is the perfect winter accessory to protect your dog’s ears and neck on those colder days! It’s also handy for all those breeds whose ears drop into their bowl while they are eating or dogs that suffer from injuries or ear ailments. 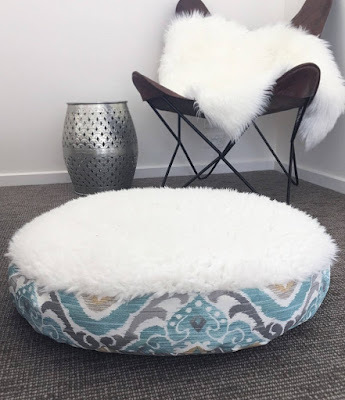 The Haven round dog bed by Lazytails features an Ikat design print with faux fur on top. The grey, taupe, turquoise, khaki, green and white Ikat design appears on the sides and back with a minky faux fur on the top for extra comfort. This is an outdoor fabric so it is fade resistant up to 500 hours. The insert fill is made of recycled PET fibre (100% non-allergenic and anti-bacterial) derived from post-consumer water bottles. The polycotton insert cover comes with a zipper closure for easy removal. Both the insert and cover can be easily machine washed. The Haven is available in Medium (67cm) or Large (80cm diameter, with 10cm sides). This Pet Lounge by Ambient Lounge is a new take on the bean bag, allowing your dog to curl up and feel secure with its soft surface and outer walls. 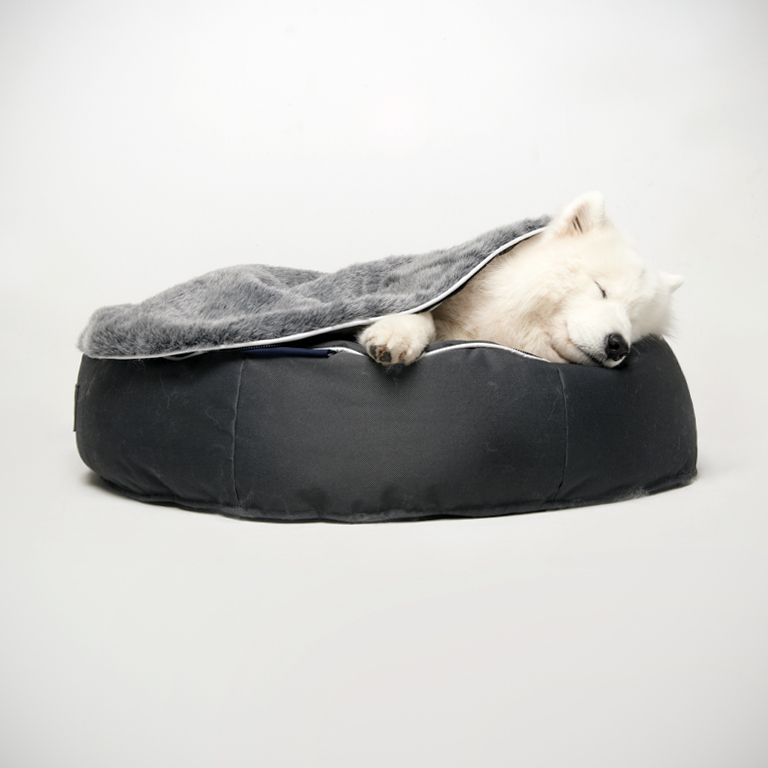 When you want to bring your dog inside, the snuggly faux fur quilted cover will allow them to sleep in total comfort. For outdoor use, the top can zip off to reveal a fully waterproof and chew resistant base. It can be scrubbed clean so it is very easy to maintain. Available in Medium (90cm length) for smaller dogs/cats and Large (117cm length) for medium to very large dogs. The new soft and snuggly Cocoon dog bed by Snooza is where you will find many stylish dogs hiding this winter! 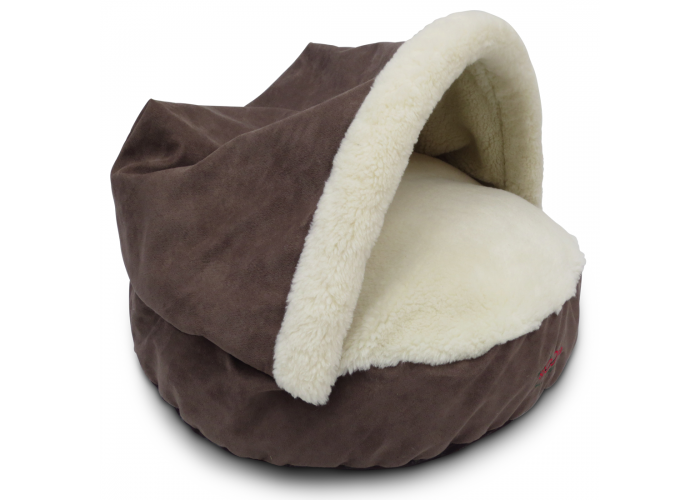 It comes with a mock suede cushion (the fabric is wrinkle and hair resistant) with a woolly burrow on top for absolute comfort. The non-slip paws on the base are great for both wooden and tiled floors. There are removable zippered covers on everything (even the hood) meaning washing is a cinch! You can choose to have the hood on or off, depending on how cold it is. If you ever decided to change style or colour, the cushion size fits other Shapes Round Covers from Snooza. Available in Small (65cm diameter, 40cm max.hood height) and Large (85cm diameter, 65cm max.hood height). This pad is made of 100% polyester barrier fleece and uses some air-activated Heat Pax™ Warmers (quantities vary with size) which activate quickly and will last for hours. The Buddy and Belle Pet Mat from PETstock ticks all the boxes for your furry friend this winter. 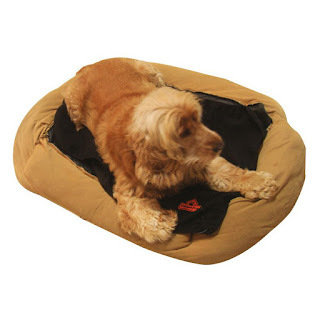 Ideal for adding some padding and insulation for use in crates, kennels or your dog's favourite resting spot indoors. Featuring a modern patterned design on one side and plush fabric on the other, the cover can be easily removed for washing. Available in either Small or Large. Before winter sets in, please do your dog a huge favour and throw out that ruined/chewed cheap kennel that has been destroyed by the weather or your own pet! An insulated dog kennel by Kumfi Kennels provides maximum protection from the elements and minimises the noise from storms. It also gives your pet a safe and comfortable environment to relax in when you're away. 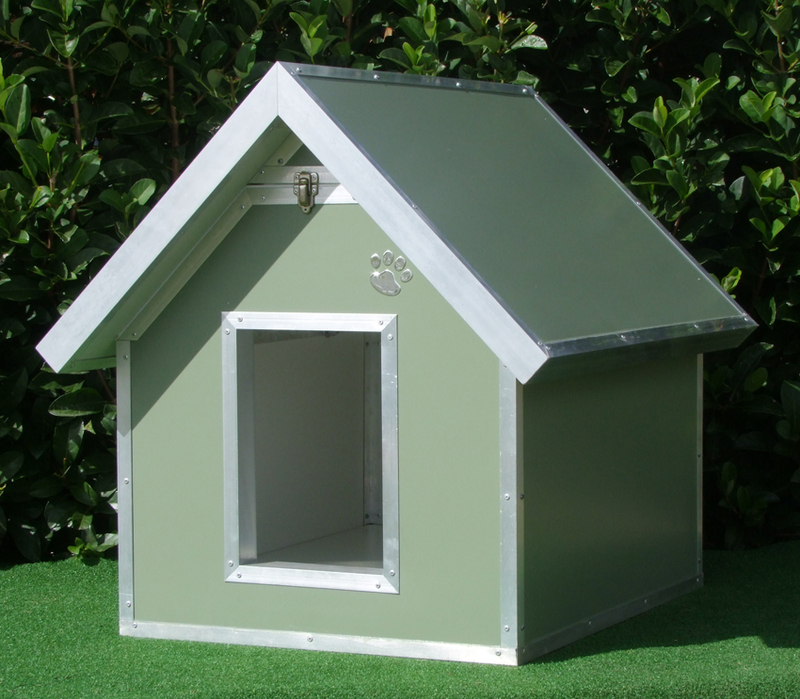 This Classic style kennel features a hinged pitched roof, a single latch at the front to seal the roof in position and a raised floor to keep your pooch damp free. Very hard wearing, the kennels have an anti-bacterial coating and are 100% recyclable. Choose from Classic or Patio styles. Available in 4 colours and 5 sizes (Small to Extra Large). A custom made kennel (e.g. Dual for two dogs) can be designed to fit your specific requirements. The main reason you would use this dog car seat? To keep your pooch restrained and safe and avoid distraction! 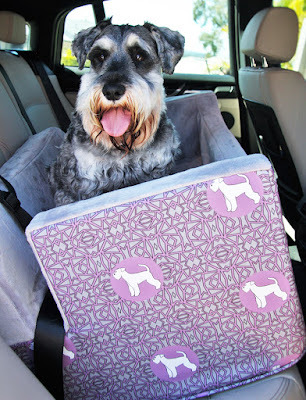 A dog car seat will also save your car upholstery whilst letting your dog have a clear view on their trip. Made from high quality foam with an eco canvas outer and lined with a minky fabric to keep your pooch warm, this dog car seat is more like a bed so your dog will feel secure and may even lie down to sleep on longer trips. It is lightweight and easily secured using the car seat belt. The Double (70cm) will fit 2-3 small dogs or 1 medium dog.